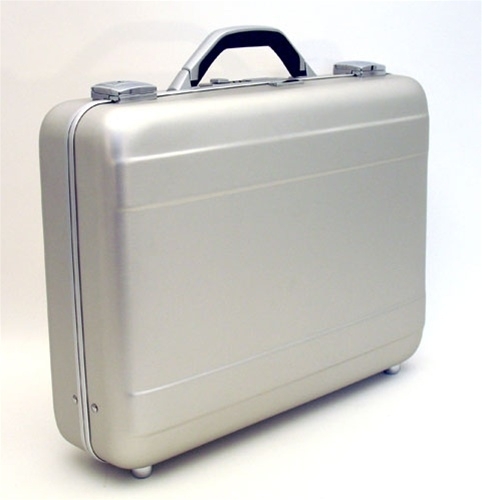 Aluminum Cases – New World Case, Inc.
Aluminum cases also provide EMI and RFI shielding for sensitive electronic equipment. Sales and tradeshow professionals use custom-sized aluminum trade show cases to store and display products and equipment. Custom cut foam inserts and custom decorative silk screening are often included in aluminum case manufacturers’ services. Custom fabrication of aluminum cases is vital for many OEM and industrial electronics applications that require equipment to be built directly into a case. The electronic, digital, video and photography industries use aluminum cases as storage and transit cases for sensitive equipment; the benefits of aluminum make these cases excellent shipping, transit and storage solutions for industrial, firearm and hunting equipment, computers and video games, motorcycle storage attachments and craftsmen hobby boxes as well as many other applications. Aluminum cases are fabricated from sheets of metal that have been fastened together onto a metal frame. Because of the pressure from use, many aluminum cases have reinforced corners that also help protect the case from wear and tear. Manufacturing sheet metal begins with raw materials that are heated together until uniform. The metal is formed into large rough shapes and, once cool, the smelted aluminum goes through a series of rollers that reduce the thickness of the aluminum. Other processes such as cutting, perforating, spinning, press brake forming, stamping, bending, ironing or wheeling may also be performed, depending on the requirements of the customer. The sheets are then fastened onto a frame of extruded aluminum bars or pipes. Extrusion is a process where a solid bar or rod of aluminum is forced through a die that removes the negative space to create a certain cross section. The parts may also be welded together. A finish is applied, if desired. Other additional features may include heavy duty swivel casters, twist latches, spring loaded handles, rubber gaskets around the doors for water resistance, recessed latches to meet military standards, lugs for secure stacking, shock mounts, enhanced and fortified aluminum framing, buckles, straps, tracks for easy stacking or many other options. 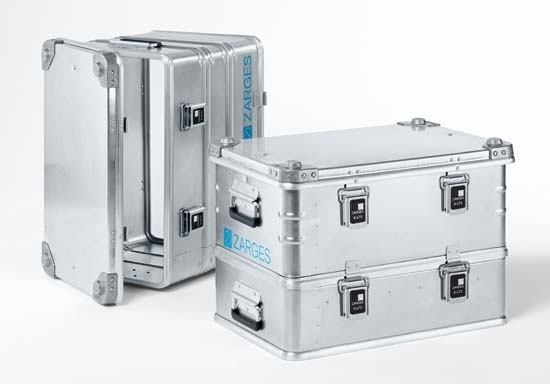 Aluminum Cases Aluminum carrying cases are preferred for high-impact applications due to aluminum's many benefits when used in shipping and storing. Aluminum is lightweight, impervious to water and moisture, strong and impact resistant, insensitive to extreme temperatures, magnetically neutral, corrosion resistant, UV radiation resistant, hygienic and cost-effective to machine and fabricate.